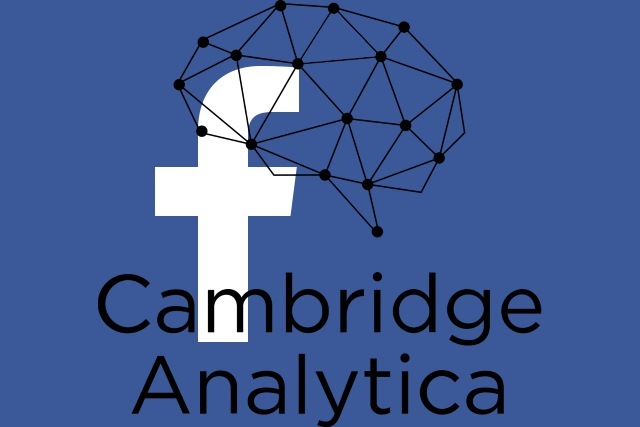 Following the recent Cambridge Analytica scandal, you can't have failed to notice there’s a backlash against Facebook at the moment, with the #DeleteFacebook movement gathering serious momentum. Even WhatsApp co-founder Brian Acton, who sold his app to Facebook for $19 billion in 2014, appeared to back it with a tweet in which he declared "It is time. #deletefacebook". Unless you don’t use it very often, deleting Facebook is a major step, and one that many people will think is taking things too far. But if you do want to take greater control over your privacy settings you might want to consider opting out of Facebook’s Platform API sharing to prevent future data harvesting. 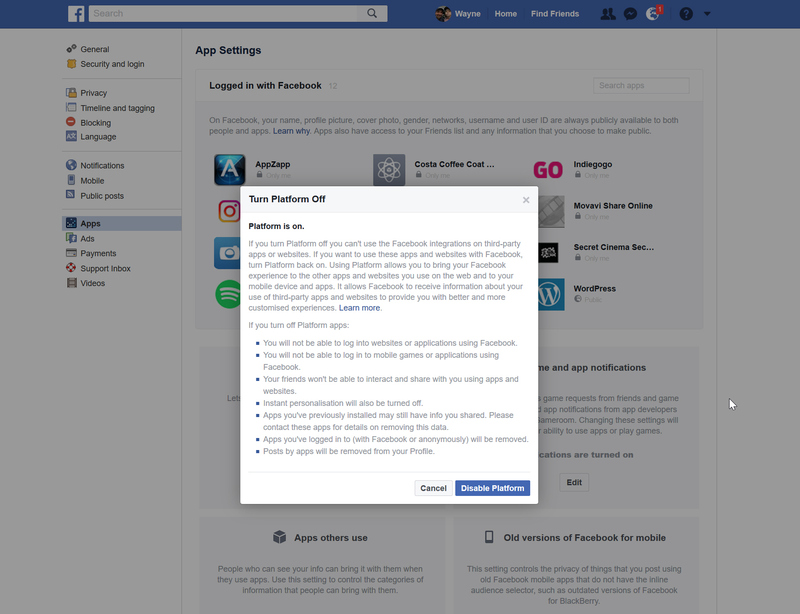 This disables all platform apps, like Twitter, Instagram, and any games you might have linked, and you won’t be able to log into any other sites using your Facebook credentials. To opt out of Platform API sharing, log into Facebook and go to the App Settings page (or Settings Menu > Apps). From there, click the Edit button under Apps, Websites and Plugins and then click Disable Platform. 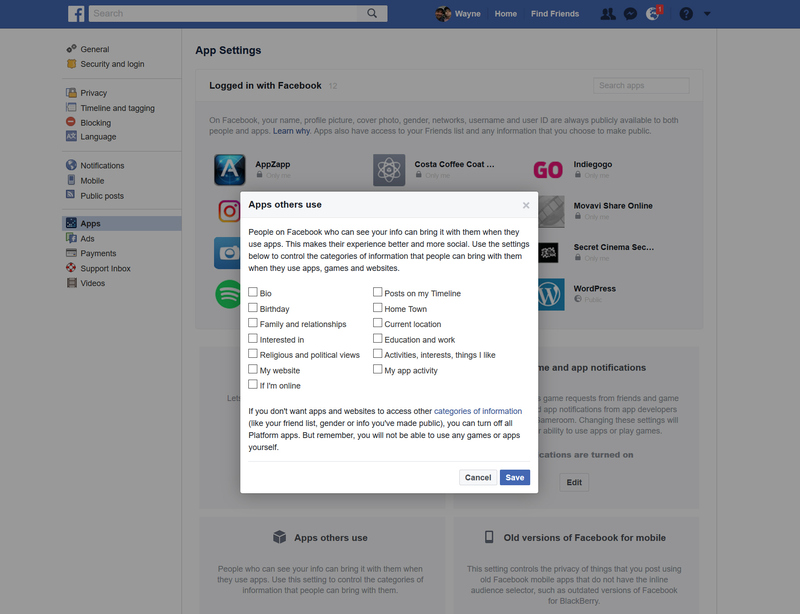 If you turn Platform off you can't use the Facebook integrations on third-party apps or websites. If you want to use these apps and websites with Facebook, turn Platform back on. Using Platform allows you to bring your Facebook experience to the other apps and websites you use on the web and to your mobile device and apps. It allows Facebook to receive information about your use of third-party apps and websites to provide you with better and more customized experiences. Your friends won't be able to interact and share with you using apps and websites. Instant personalization will also be turned off. Apps you've previously installed may still have info you shared. Please contact these apps for details on removing this data. Apps you've logged in to (with Facebook or anonymously) will be removed. Posts by apps will be removed from your Profile. If that still seems like taking things too far, you can instead opt to limit what personal information is accessible by apps that other people use. From the App Settings page, click Edit under Apps Others Use. Then uncheck the various categories below and click Save.